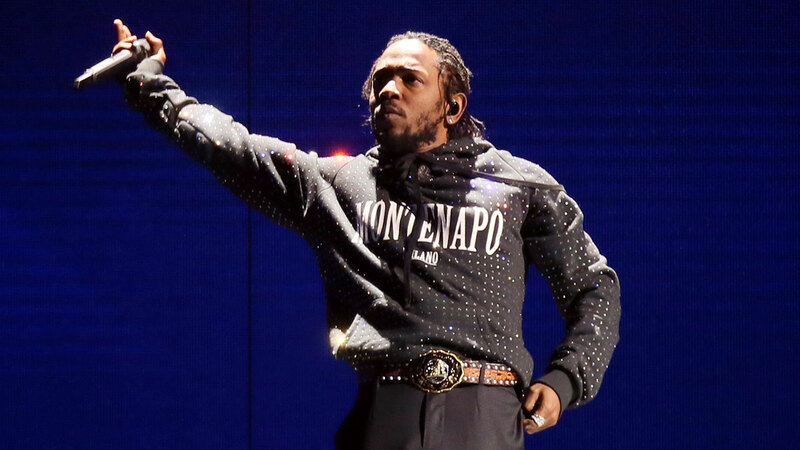 BEVERLY HILLS, Calif. (AP) -- It was Kendrick Lamar's friendship with 50 Cent that helped him get a guest role on Starz's "Power," but Lamar came ready to work. "He was so chill, like very cool, very humble," said series creator and producer Courtney Kemp. "He's very kind of quiet and thorough and methodical. He had prepared so much. He was ready." Kemp didn't give much away about the character Lamar plays in Sunday's episode airing at 8 p.m. EDT, but she said he indicated he was interested in playing a drug addict. "He's really gifted, tremendously gifted. I mean it's a total transformation. It is not a version of Kendrick Lamar that you've ever seen before. So it's very exciting," Kemp told The Associated Press. Curtis "50 Cent" Jackson, a producer for "Power" who also appears in Sunday's show, got the ball rolling for his buddy Lamar, Kemp said Saturday. "That is absolutely 50 Cent," she said. "He is just a dynamo when it comes to bringing these things together, and he and Kendrick ... were hanging out and Kendrick said, 'I'd really like to be on the show,' and you know it goes from there." Kemp, who took part in a panel discussion on the series Saturday, said the Grammy- and Pulitzer-winning Lamar was "fearless" in approaching what Starz called his first role on a scripted TV series. "Power" cast member Larenz Tate, a self-described "huge" Lamar admirer, said he deliberately avoided going on set when the music star was working. "I felt like I didn't want to disturb him because I knew this was a big moment for him," Tate said. "I didn't want to throw that off because I would've been more into the Kendrick dynamic then what he's doing on the show at that moment. I didn't want to fan out, is my point." Whether Lamar will be back on the show, which is in its fifth season and stars Omari Hardwick as a drug kingpin and nightclub owner, is something Kemp wouldn't reveal before Lamar's episode airs. "Anyone can die in 'Power' at any time! So I can't say," Kemp said.